Solaria manufactures highly efficient, quality based solar panels for both residential and commercial systems. The PowerXT series modules are designed to be visually spectacular, totally optimized, and capable of producing up to 20% more power than comparable solar panels. 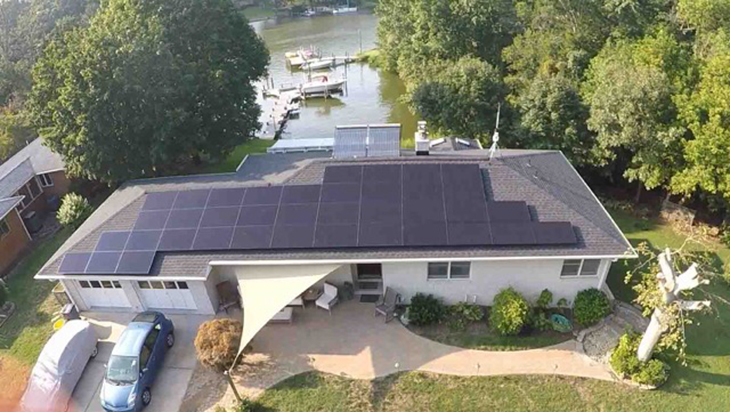 Solaria is built to last with a 25 year workmanship and power output warranty. Solaria believes in the potential of unlocking more power through quality built solar panels and achieving higher power output yields through maximum optimization of their solar modules. Solaria‘s technology unlocks the potential of solar energy making it ubiquitous and accessible. Their industry-leading modules leverage proven c-Si cells, re-assembled using high precision semiconductor automation to deliver better results. Solaria starts with standard, industry proven crystalline silicon solar cells and utilizes advanced proprietary semiconductor manufacturing processes to singulate them into high-uniform strips which are then re-assembled into strings of variable density depending on the application. Solaria solar panels take your energy production further with quality modules made in the USA and S. Korea. To learn more about Solaria scroll down below the line of products we carry for more information. Solaria was founded in the early 2000s when the cost of silicon, the raw material for photovoltaics, was the largest cost of a solar energy system. Over the next few years, Solaria assembled a multidisciplinary team of scientists and engineers, with remarkable design ingenuity, to develop a sophisticated product and manufacturing process. Solaria’s first series of products, known as low-concentration-photovoltaics (LCPV), were fully tested and certified, with over 30 megawatts installed in demanding, utility-grade, deployments around the world. Solaria became synonymous with field-tested, high quality, durable, high-performance LCPV combined with innovative solar tracking arrays. Learn more about Solaria on their website here. Solaria’s engineering team optimized its proven core technology and automated manufacturing process for different applications. 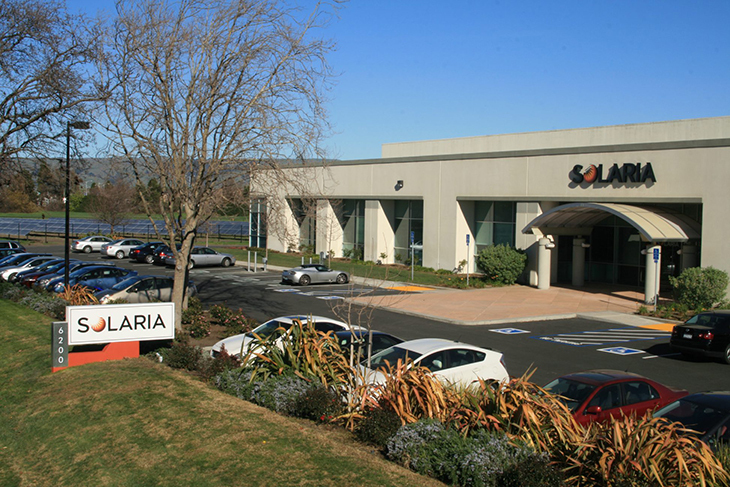 Solaria started with proven materials - standard crystalline silicon solar cells – and used advanced proprietary semiconductor manufacturing processes in which the cells are scribed and singulated into highly uniformed strips, re-assembled into strings (interconnection), packaged, and tested. In collaboration with strategic partners, Solaria successfully launched three such solutions in 2016 – the PowerXT, a series of high-efficiency modules unlocking cost efficiencies across the commercial photovoltaic value-chain. Watch Solaria PowerXT video here.